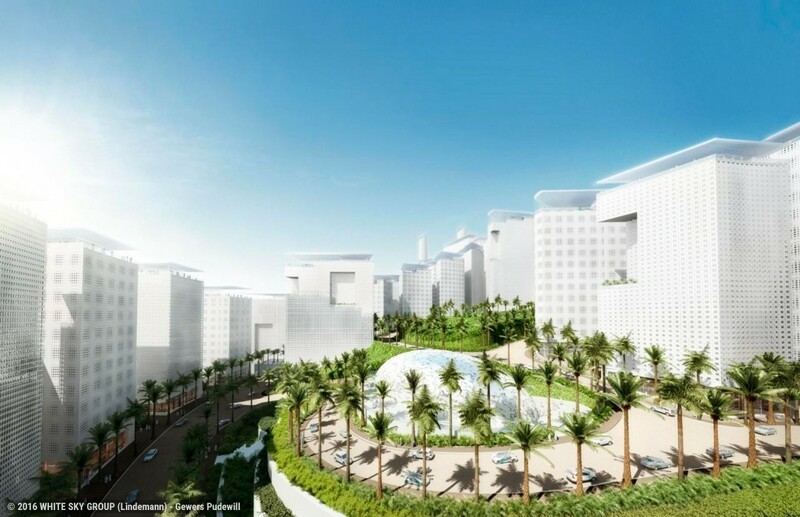 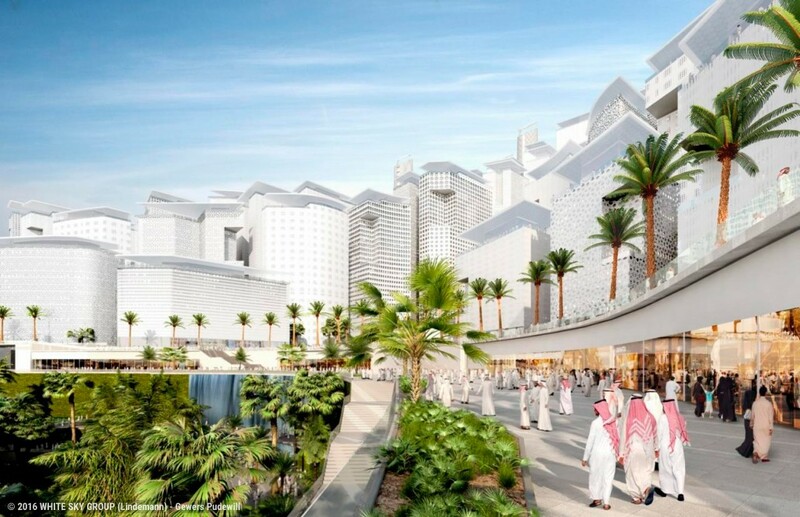 Winning a 91 hectares development in Makkah has been a once in a lifetime project. 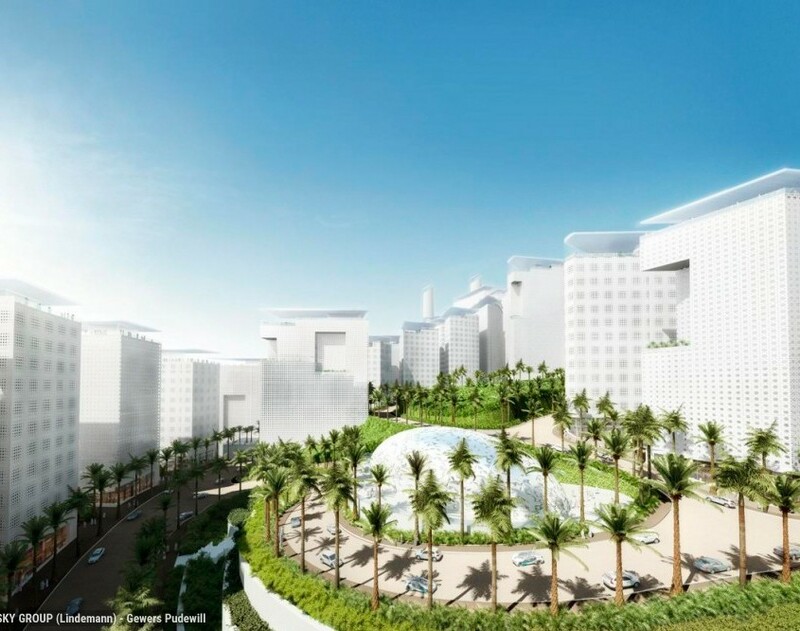 Award-winning in sustainability, design and construction, the final master plan (2012-2014) integrates various building types including hotels, residential, malls, technical and medical infrastructure, mixed with parks and open spaces as well as spacious prayer areas, offering built space for more than 160,000 inhabitants. 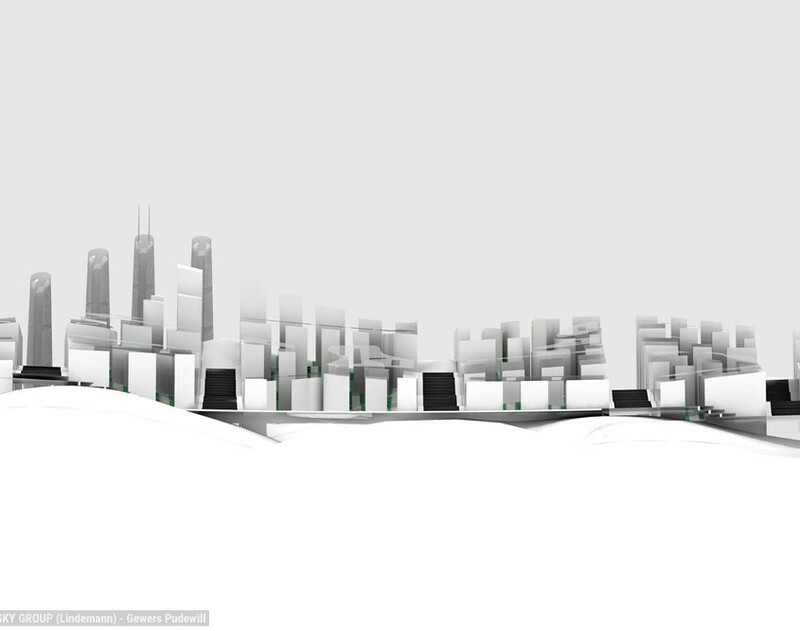 The design defines new innovation strategies and mobility, introducing a sensitive and balanced urban matrix. 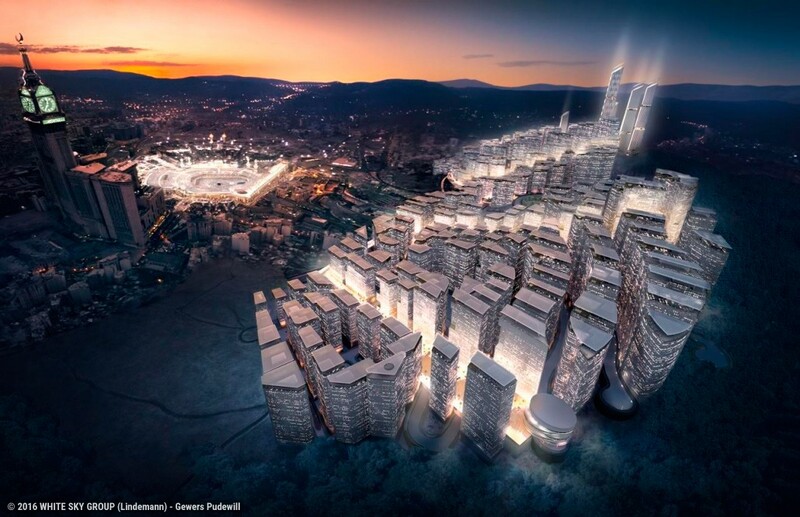 At the same time it represents almost six million square meters GFA in close proximity to The Grand Mosque in Makkah, the holiest site in Islam. 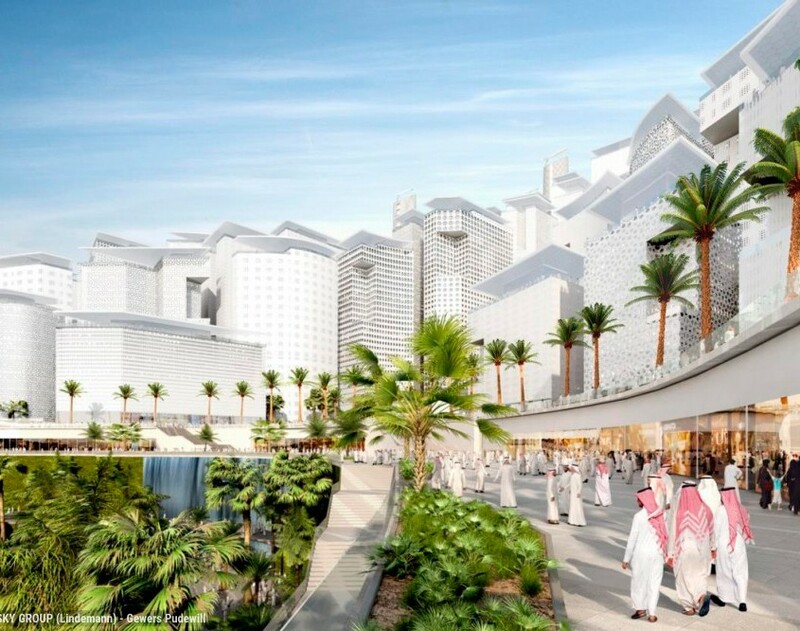 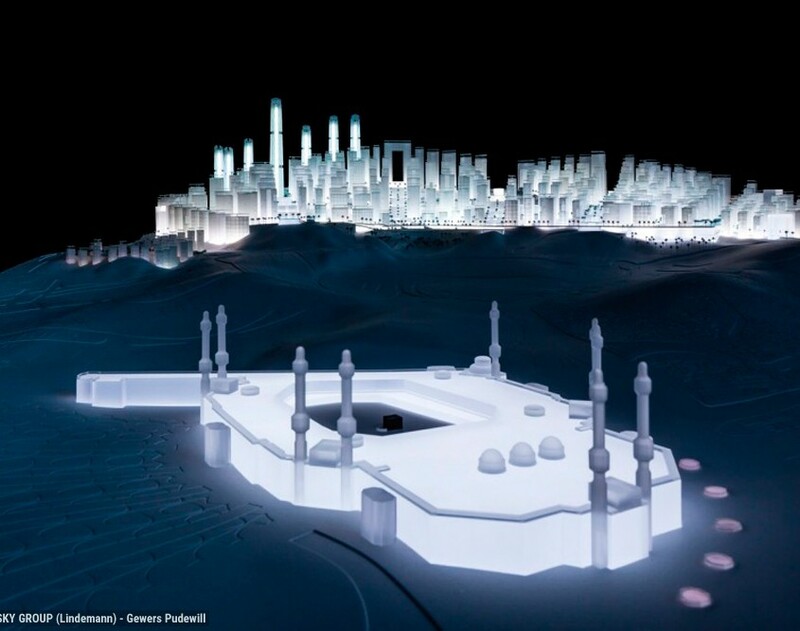 The Khandamah Mountain project reflects the cultural heritage of Makkah and Saudi Arabia. 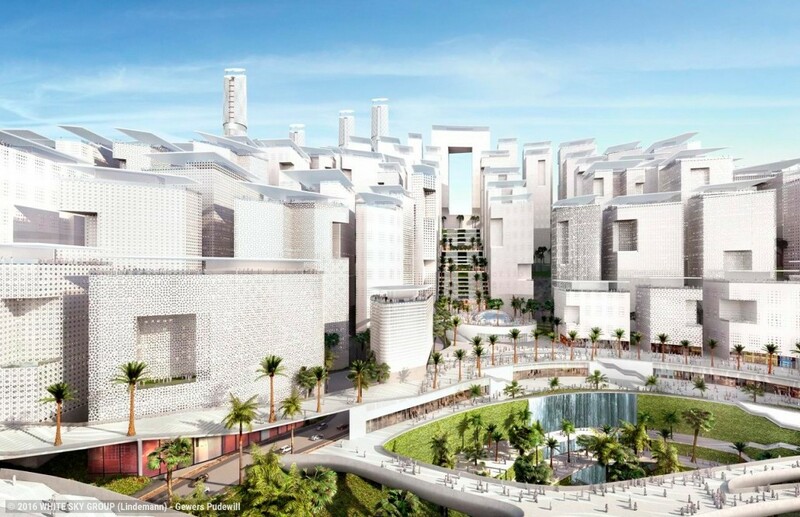 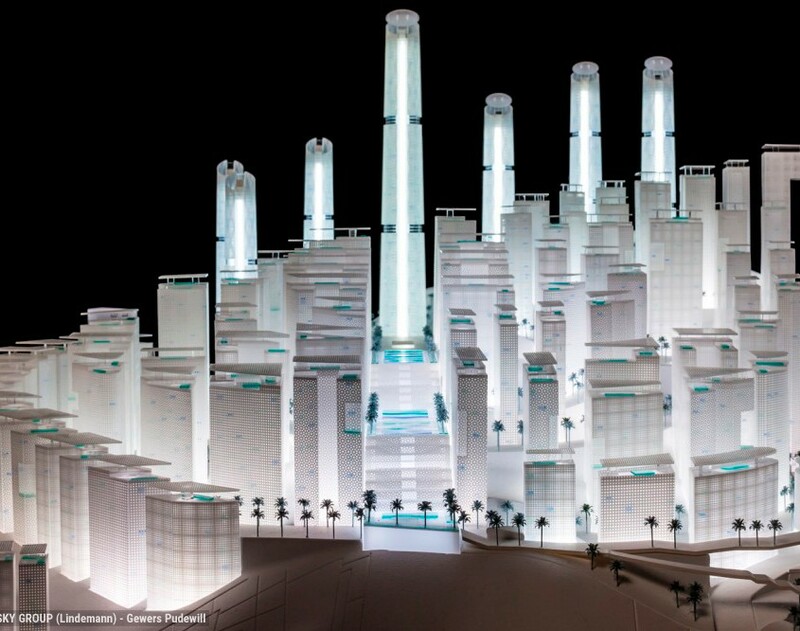 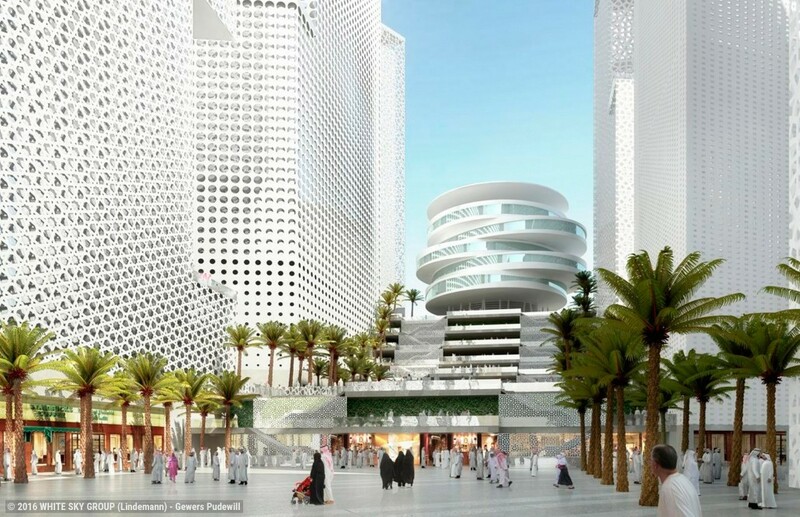 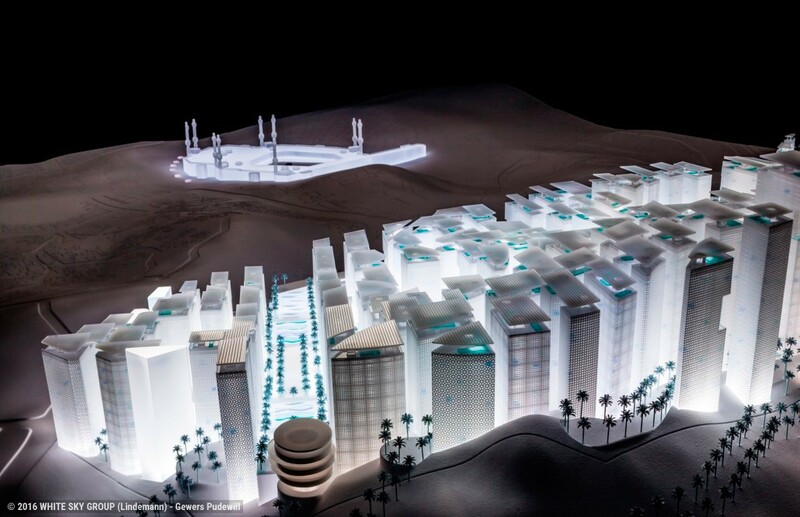 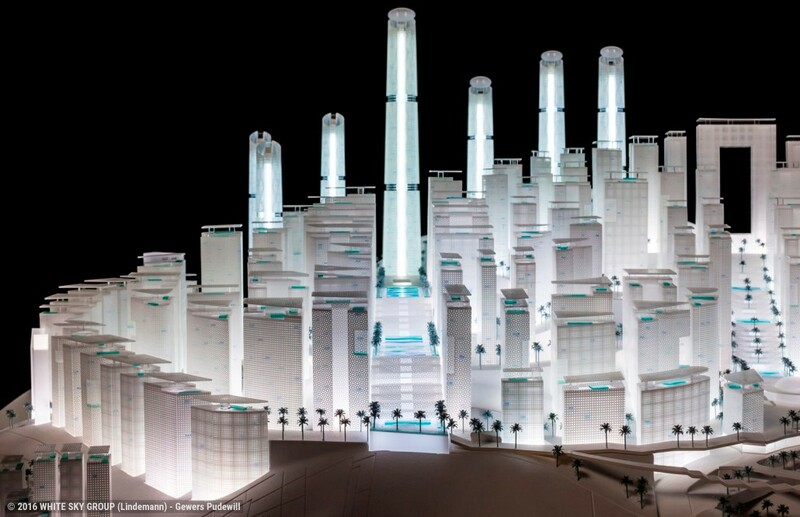 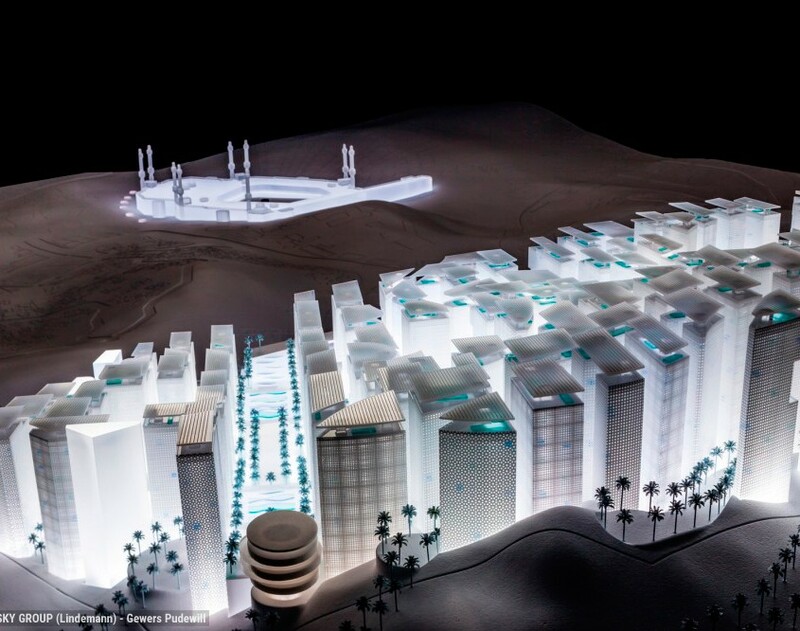 It represents a unique and groundbreaking landmark development within the Makkah Vision 2030. 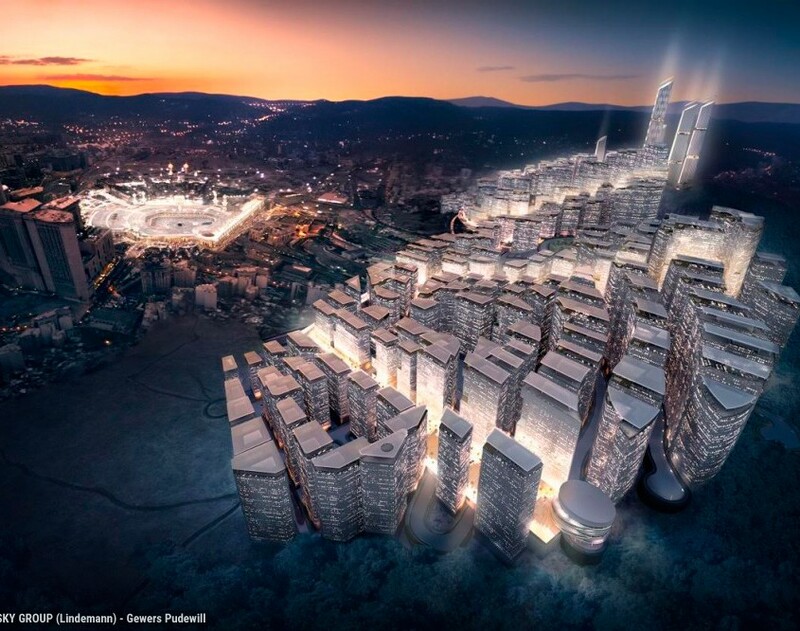 “The jury recognizes the team’s overall understanding of the site qualities and potentials as well as the cultural, symbolic, and urban values of the city of Makkah. 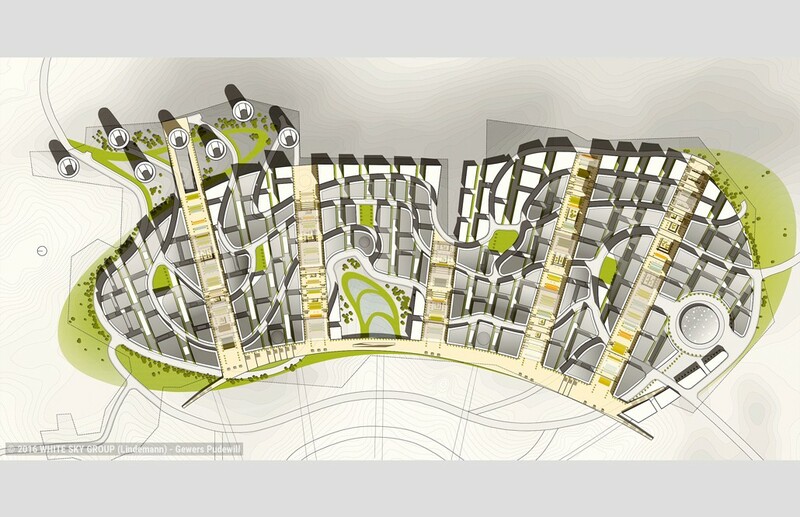 The proposal has most successfully met the site challenges and the jury criteria. 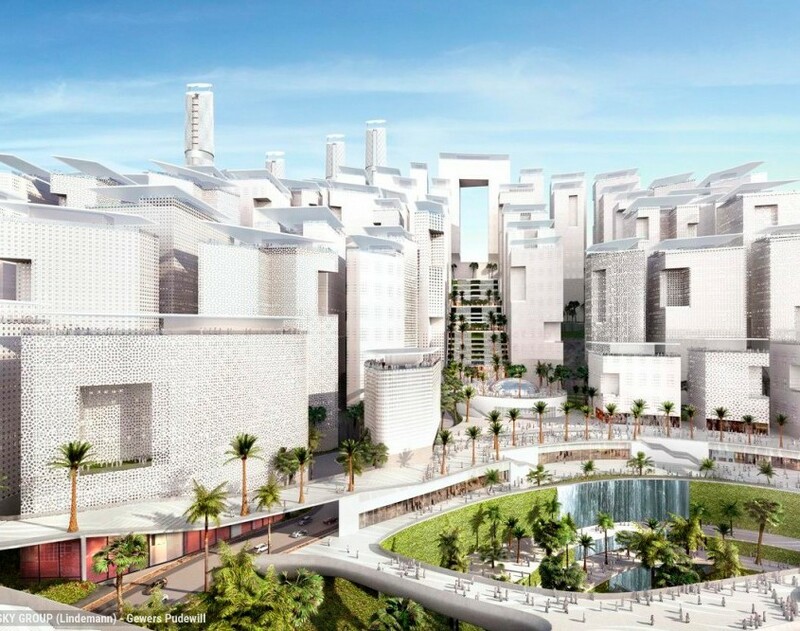 The urban morphology and scale have been quite sensitive to the heritage and context of the city in that they provide for a harmonious integration of the development within the existing city fabric. 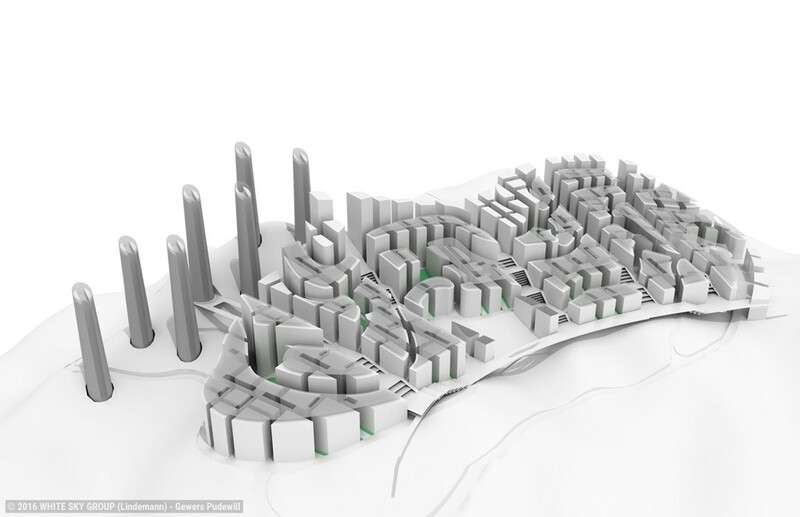 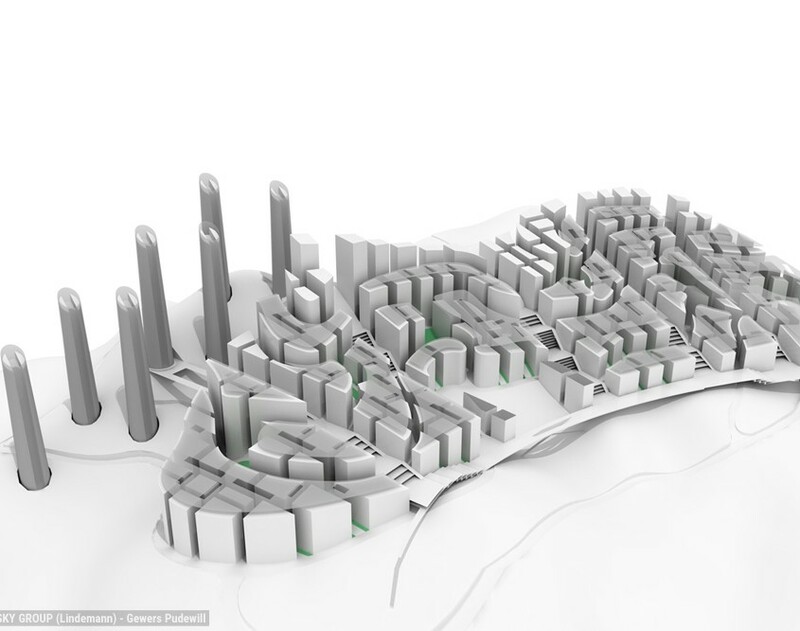 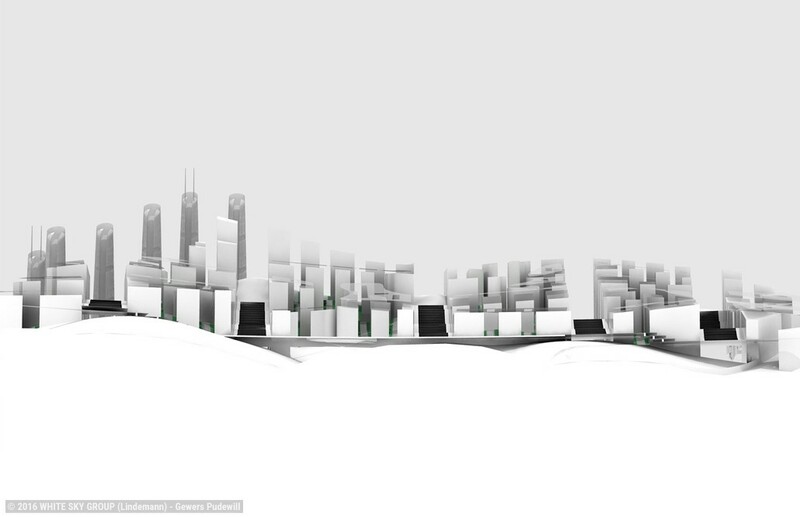 The proposal skyline does not create an imposition on the city landscape and character. 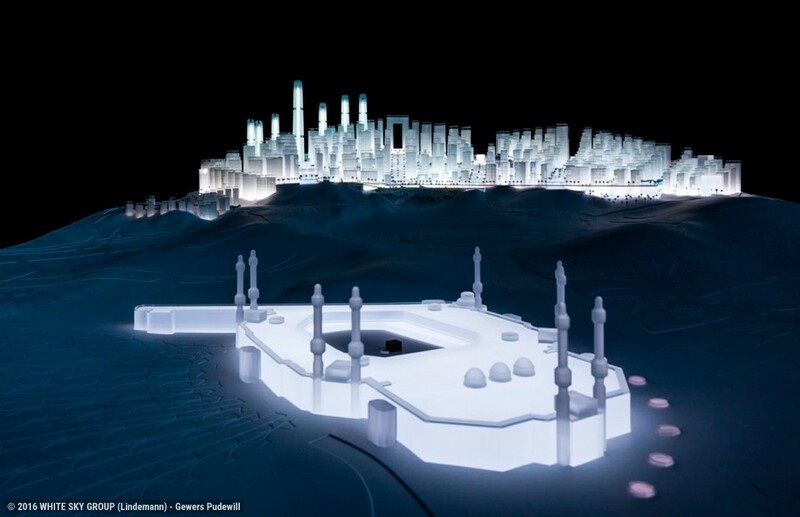 In particular the jury appreciates the proposal’s site accessibility and connectivity with the holy sites and the rest of the city. 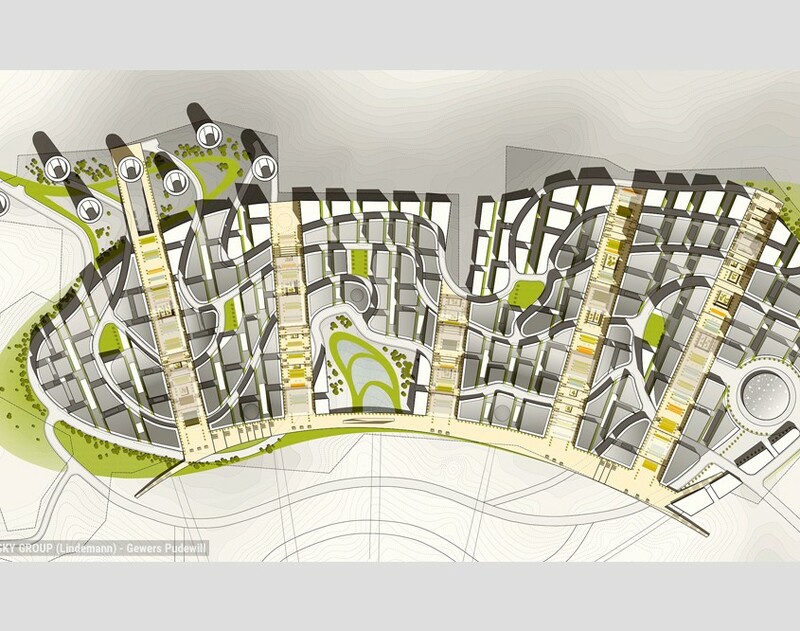 The “carpet” concept provides an innovative feature that can enhance the human and social dimensions and needs of site users.